OMG- I can't wait to start this book!! I got this for my Nook for only $0.99! The author or Dream Smashers was SO nice, and asked me to review her book. I'm really looking forward to starting it! I'm really looking forward to reading all these awesome books. I'm still sticking with my book buying/reguesting/borrowing ban. :) Still doing good! 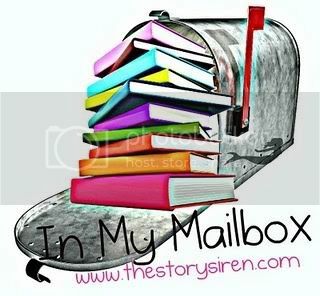 What's in your mailbox this week?? Leave a comment with your link so I can come see your goodies! 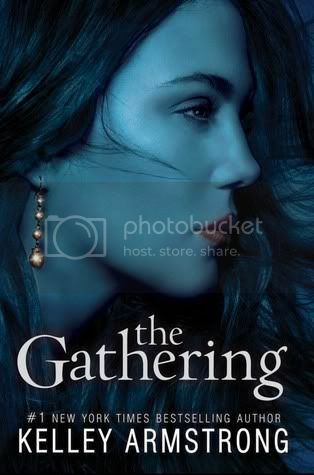 I can't wait to read The Gathering, it sounds AMAZING! Awesome books you got this week. Dream Smashers looks really good. Hope you enjoy reading all your books. The Witches of Santa Anna looks good. I'm loving the cover. Looking forward to your review on that. Wow great deal for the Witches of Santa Anna. Enjoy! Finally The Gathering is out - looking forward to reading that one! Enjoy! Great set! I've heard great things about Kelley Armstrong. I need to pick up her books. Get a free download of Wings by Aprilynne Pike at my blog! Ive been wanting to read The Gathering for months now! I hope you like it! Dream Smashers sound good! Happy reading! I loved the Darkest Powers series, so I can't wait to read The Gathering! The Witches of Santa Anna looks cool - I hope you're going to write reviews!? You got some great books this week- I just finished reading 'The Gathering' this week and loved it! I quite like the look of The Gathering :) Looking forward to your review. I want to read The Gathering, too! I read The witches of Santa Anna that edition was a good light read. They all sound REALLY good. I am looking forward to hearing what you think of them, especially Dream Smashers. I'm going to start The Gathering today!! I'm so excited about it too!! I picked up The Gathering from the library yesterday! The Witches of Santa Anna books are $5.00 now :( Still a awesome price so I will be buying it! Great stuff this week! I got The Gathering as well and am reading it now! I just finished The Gathering. Can't wait to see what you think! Happy reading. Ooooo, The Gathering. I'm really looking forward to reading that, especially after seeing the trailer. The Witches of Santa Anna sounds good, 7 books in one! Too bad a lot of her books aren't available in print. *sigh* Maybe one day. 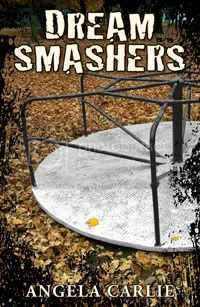 Dream Smashers sounds good too, but is one of those books that you have to be in the right mood to read. I'll definitely keep it in mind for when I am. I got The Gathering last week but I haven't started it yet I want to read The Darkest Powers trilogy first - I've only read the first one. I haven't heard of The Witches of Santa Anna before but I am intrigued. Yay, the Gathering! I'm really looking forward to reading that one. Can't wait to see what you think! I read some other stuff by Armstrong and am looking forward to the gathering. Happy reading. Haven't heard of the Witches of Santa Anna, but love that cover!!! 7 books for 99 cents? Great deal! I really need to try out a Kelly Armstrong book, she seems pretty popular. Great books!